There is a reason we always do our Freeze it Forward around Valentine’s Day. In a season around a holiday that is focused on love – we like to share the love and encourage our community to share the love as well! 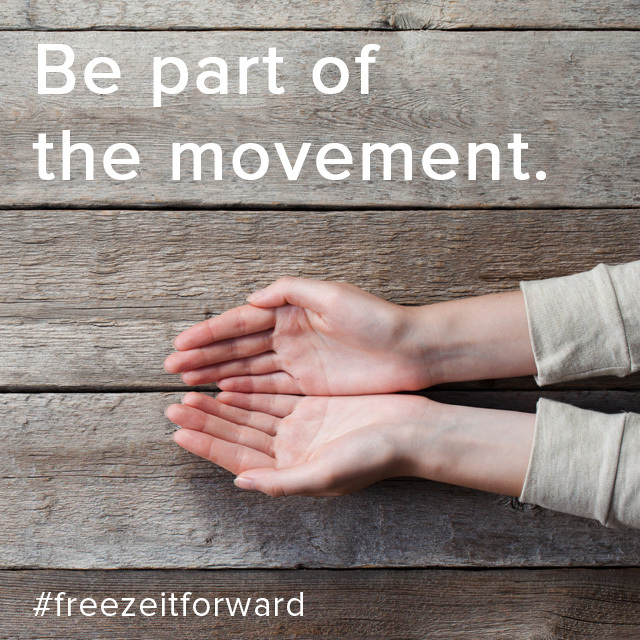 To read more about how Freeze it Forward got its start you can click here! 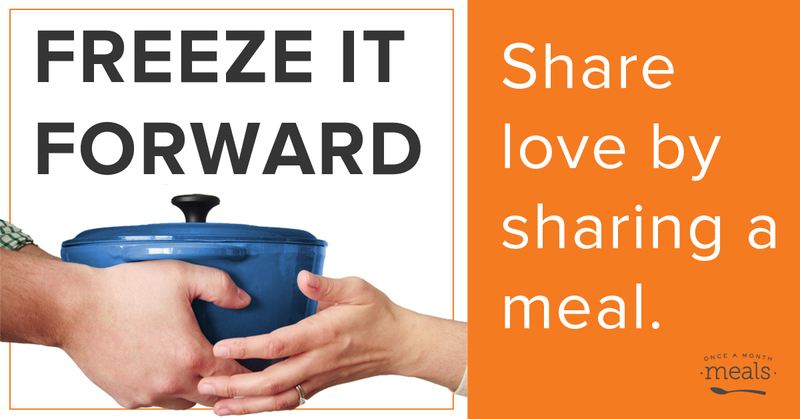 Our challenge to you is to share the love by freezing it forward this Valentine’s season. We all know someone who might be walking through a difficult or challenging season or simply might be overwhelmed – single parents, foster/adoptive parents, new parents, military families, families experiencing economic hardship or compromised health – or maybe even you can think of a nonprofit organization that could use freezer meals! We have done this challenge in the past, so we have lots of resources to help you make this happen. Most of you already have a freezer full of meals, so all you have to do is pick one, package it, and drop it off. If you plan on doing a cooking day to Freeze it Forward our system helps make it easy! Our system automatically doubles each recipe, yielding two meals. You can always keep one and share one when you cook a menu. It’s also easy to customize serving sizes to share with a big family or to create single serving meals – whichever serves your purpose better. Single servings are particularly helpful for those who are ill or who live alone. 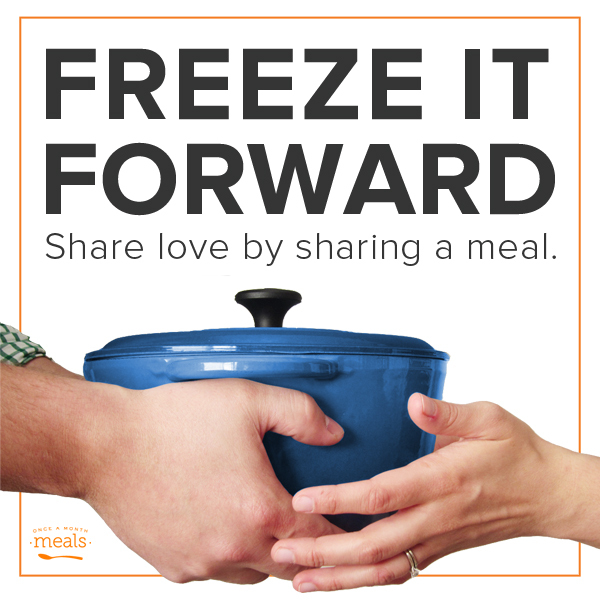 Tell us how YOU Freezer It Forward! In the same spirit, our desire at Once A Month Meals is to embrace the spirit of giving. It’s our pleasure to give out of our abundance and to encourage our community to do the same. It excites us for folks to use Once a Month Meals to make time for what matters most! If you know someone who would benefit from a Once a Month Meals membership we encourage you to nominate them! It’s a joy for us to gift memberships to families in need each year. I am one of those people that needs help! I’m on O D S P in Canada! I have many medical problems like:bad back? I can’t walk, do laundry, housework without my back ceasing up! Your insinuation is a good one! I love it to get the recipes? Thanks Carolyn.